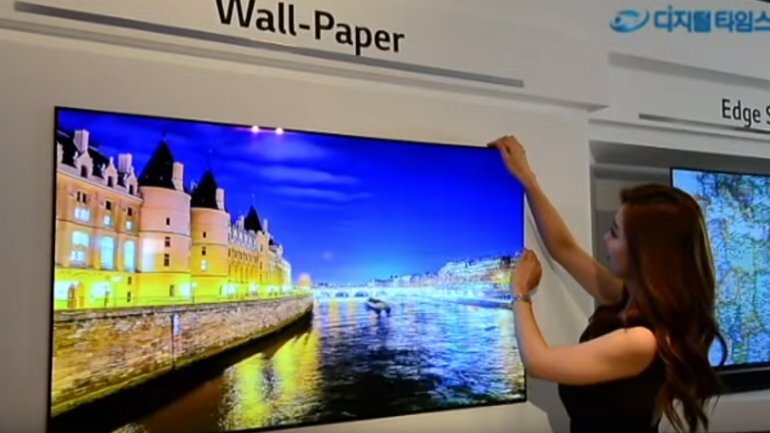 The LG OLED Wallpaper TV is an interior designer’s dream. 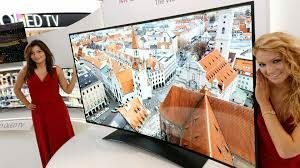 We are continually looking for clever ways to downplay the television in our client’s homes; now LG has helped us get a little closer to solving the eye sore plaguing living rooms across the country. Remarkably, the W-Series is almost as thin as a credit card. It is also flexible without distorting the picture, thus leading the way to the next step for Oleg in the portable, rollable screen that you can take with you wherever you go. Mounting the Wallpaper TV is as simple as 2 key holes at top, and two magnets on the bottom corners. Therefore, it is completely flush to the wall with no gaps. No more clunky TVs. 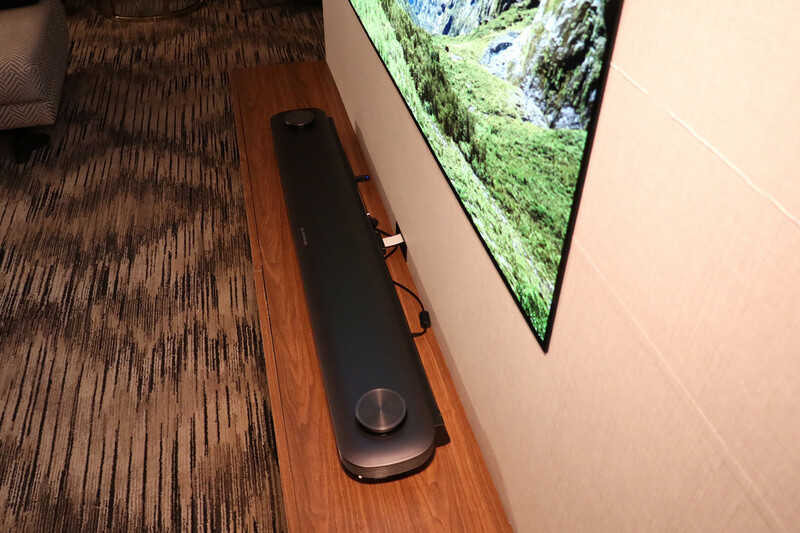 So where are all the guts you ask…well, all of the hardware is built into the Atmos Sound Bar. For power, a tiny ribbon cable connects the two, so there is no need for an outlet nearby either. 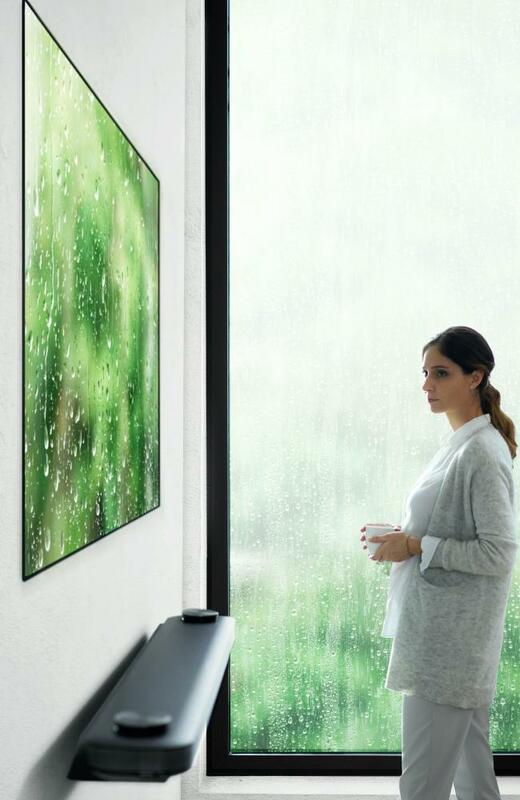 The Atmos Soundbar seen above contains the Dolby Vision and Sound, and the W-Series runs on 60 Watts of power. Reportedly, the sound the Atmos puts out is spatially very advanced. LG is looking at a March launch for the OLED Wallpaper product, so you’ll have to impress your friends with this technological dream at next year’s Super Bowl. Coming in with a sticker approximately $8,000, this might just be money well spent.